Vision Wheel is proud to announce the introduction of style 550 ATV//UTV wheels for 2014. The 1-piece aluminum wheels combine form and function that adds strength through great design and engineering. 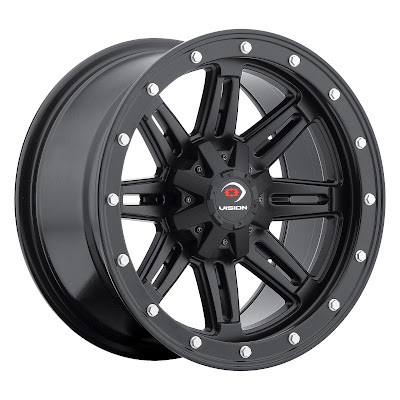 The matte black painted wheels feature 4-110 and 4-156 fitments, covered lug cap and are corrosion resistant. Front wheel sizes are 12″ x 7″ and 14″ x 7″ with 4″ backspacing and load rated at 900 lbs. each. Rear wheel sizes are 12″ x 8″ and 14″ x 8″ with 4″ backspacing and load rated at 1,300 lbs. each. For further information call 800-633-3936 or visit www.visionwheel.com.